This is a half ounce tube of Miniatronics 60/40 Rosin Core Solder. 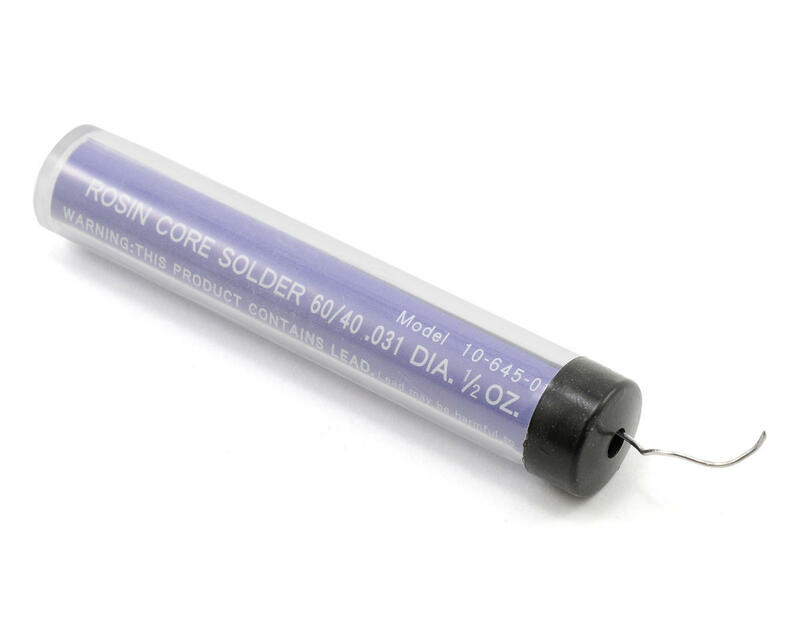 This solder is great for a variety of projects and a perfect choice for any electrical application. NOTE: The melting temperature for this solder is 374 degrees Fahrenheit. Its a good solder for the r/c hobbyist. The price is right. Would recommend it! seriously great stuff for the price, it melts down nicely and come in a handy little container!